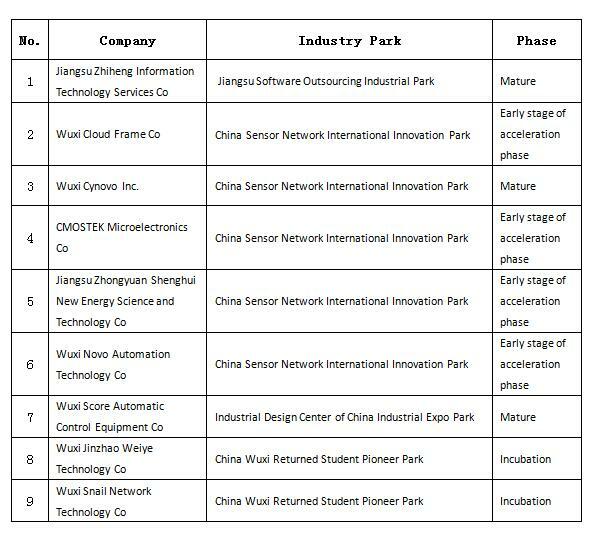 According to the Administrative Measures for the Identification of the Development Phase of Sci-Tech Innovation Enterprises in Wuxi National Hi-Tech District (document No 8), the results of the identification of nine enterprises’ development phase is publicized as follows (see the attachment after the enterprises’ application, preliminary review and relevant authorities’ reivews, and the public notice period started on March 28 and ends on April 6. If there is objection to the results, a written objection is required. Authorities: Wuxi High-Tech District (Xinwu District)’s Finance Bureau and Bureau of Science, Technology and Information Industry.